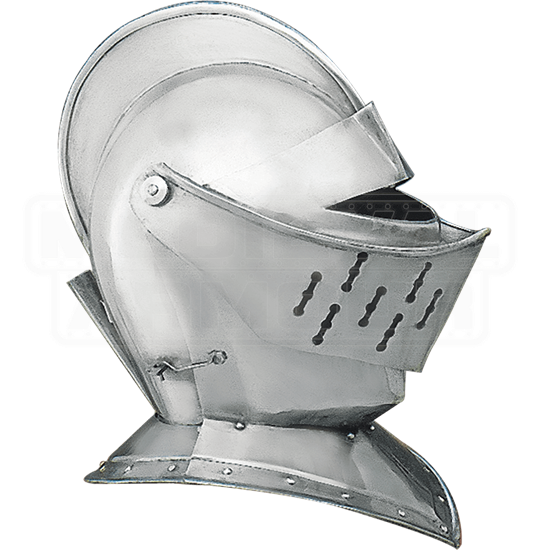 The closed helmet is the typical helm that is often thought of when picturing a typical knight of the middle ages, and this European Closed Helmet does not fail to deliver on iconic and classic detail, as its design evokes images of knights in shining armor. This helmet is modeled after typical European closed helmets, possessing a rounded crown with a ridge-like crest across the helmets top, which acts as both additional decoration and added support and defense. The front of the helm possesses a slim eye-slit that is designed to let the wearer see out of the helmet, while also limiting any projectiles or wooden arrow or lance splinters from slipping through. The helmet also features decorative cut-outs along the visor-like mouthpiece, which help to ventilate the helmet as much to allow the wearer to breathe easier when the helmet is worn. The helmet continues down into a protective, gorget-like collar. 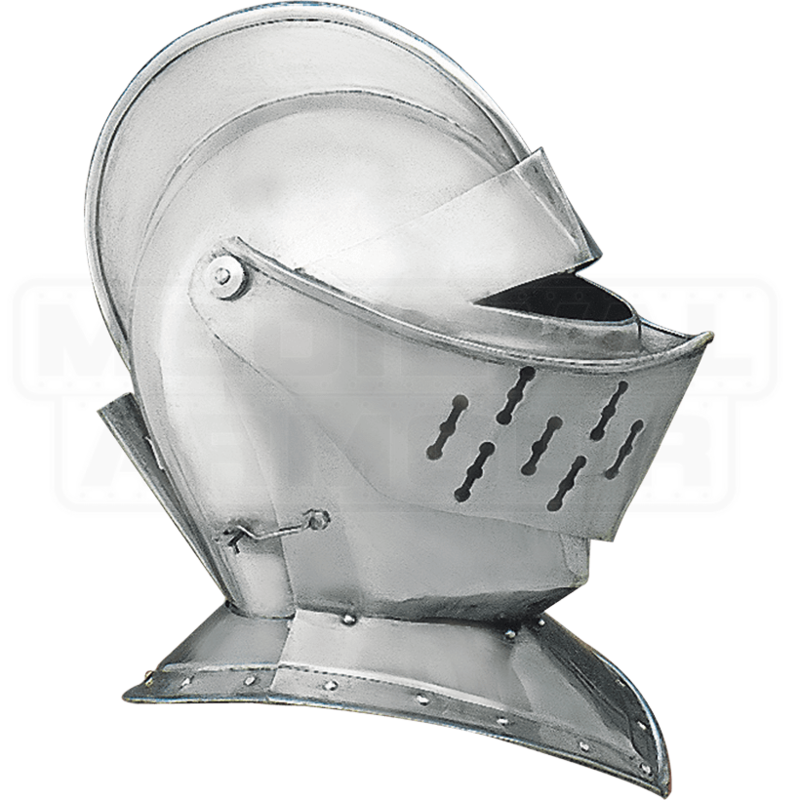 This helmet is made from mild 18 gauge steel, making it the perfect choice to wear whenever you are looking for that authentic looking medieval warrior style. The 18 gauge thickness makes it a particularly good choice as a costume helm, as well as a stellar LARP helm and a great piece for light reenactment, too. All in all, this European Closed Helmet provides a great degree of protection, while the iconic and classic form makes it a noteworthy piece for any enthusiast and collector to own and display, too.